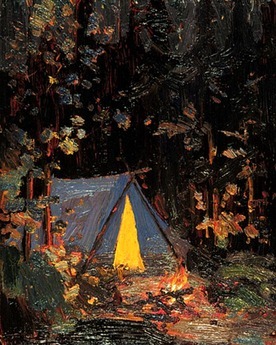 Tom Thomson was a prolific artist over his short career. The Canadian painted 400 oil sketches on wood panels, and about 50 larger works on canvas. 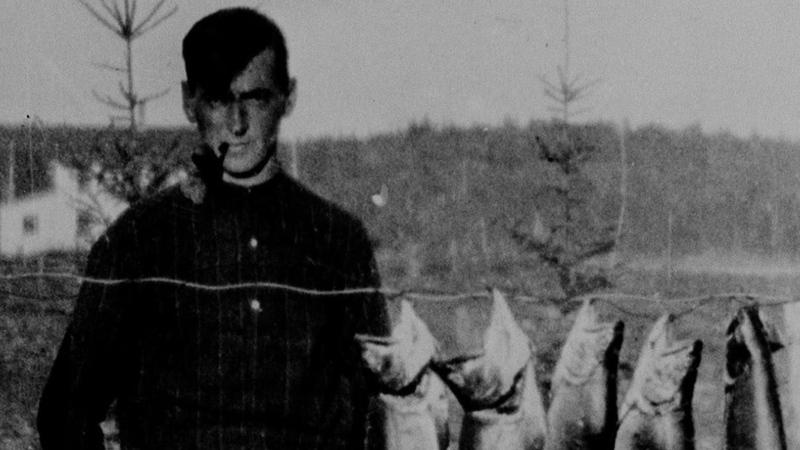 An avid outdoorsman, Thomson spent a lot of time canoeing the waters of eastern Canada. In May of 1912, Thomson visited Algonquin Park in Ontario for the first time. That visit began a love affair that lasted the remainder of his life. It was Algonquin that inspired Thomson to seek out his first sketching tools. As an artist, Thomson was largely self-taught, and did not seriously start to paint until he was in his 30’s. His oil work on small wooden panels made it easy for transport during travels. 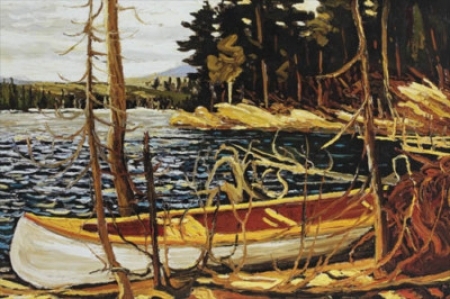 Much of this work was inspired, or done in Algonquin Park. 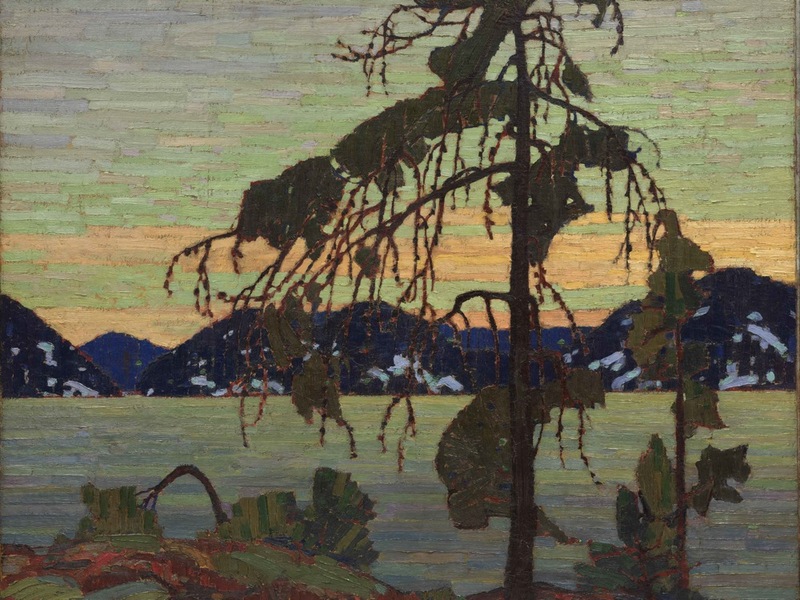 Thomson’s larger canvas work was mostly completed over the winter months in his Toronto Studio. The studio was an old utility shack, that was heated by a wood stove, located on the grounds of the artist complex The Studio Building. Thomson’s work and notoriety reached a peak between the years of 1914-1917. 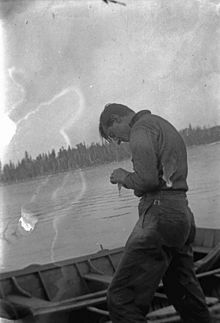 On July 8 of 1917, Thomson disappeared on a canoe trip on Canoe Lake in Algonquin Park. His body was found eight days later floating in the lake. He was buried near Canoe Lake at Mowat Cemetery, although his brother later exhumed his body and brought it to the family plot. Brazil Lucas and I spent some time on Canoe Lake during the Canadian Excursion. 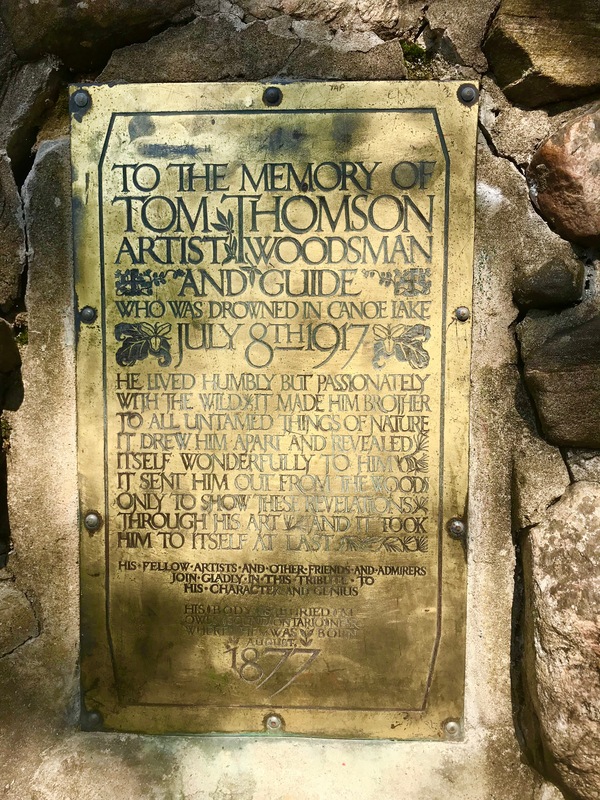 We canoed over to Hayhurst Point, where a memorial cairn stands honoring Thomson. 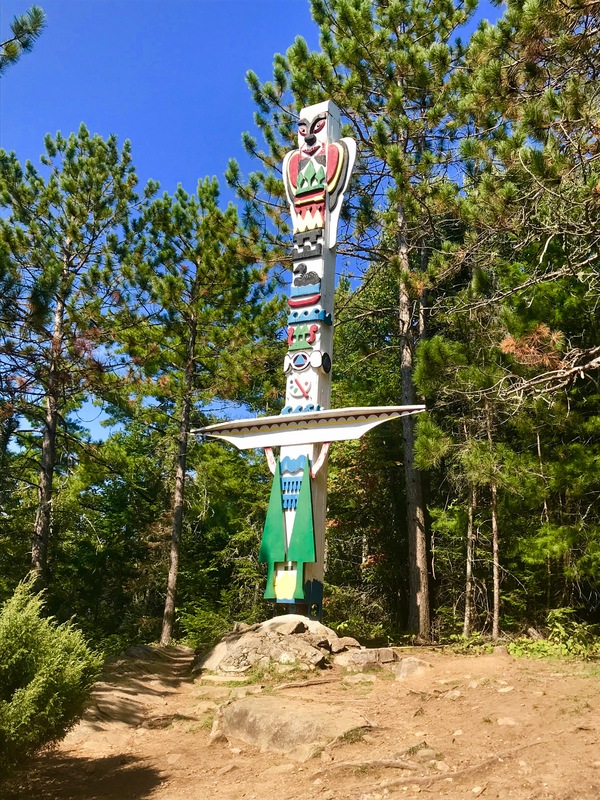 Near the spot where Thomson’s body was recovered, the cairn was erected in September 1917 by J. E. H. MacDonald and John William Beatty.